Bill Monroe. Flatt & Scruggs. The Stanley Brothers. Ralph Stanley was the last man standing, carrying the torch for the original pioneers of bluegrass music alone since the death of Earl Scruggs in the spring of 2012. Today, June 23, 2016, "Dr. Ralph," as he was known, died at his home in the same mountains of southwestern Virginia where he was born in February 1927. Ralph Stanley was 89 years old. One of bluegrass music's favorite artists, Bill Yates, 78, passed away yesterday after being hospitalized earlier. One says a bulb burns brightest before it goes out and this was the casee with Bill Yates. After being hospitalized for bleeding on the brain, it looked yesterday that his condition was improving. That prognosis did not continue and he passed away Monday. Yates had performed with the Father of Bluegrass music, Bill Monroe and the King of Bluegrass, Jimmy Martin. Dixie Hall, 80, affectionately known as Miss Dixie, and wife of songwriter Tom T. Hall, passed away in her home Friday after enduring a long illness. Dixie was born Iris Violet May Lawrence in her native Sutton Coldfield, England. Songwriters Dixie and Tom T. covered the country, bluegrass, folk and roots realm with their storytelling songs. The two of them put out song after song of great lyrics and music. Miss Dixie was loved by artists and fans and she loved them as well. 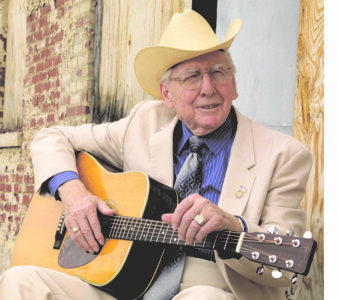 Johnny Lee Vincent of The Sally Mountain Show, promoter of the Sally Mountain Park Bluegrass Festival in Queen City, MO and father of bluegrass music artists Rhonda, Darrin, and Brian Vincent passed away on Sunday, October 5, 2014. Rhonda Vincent shared his obituary. Johnny Vincent's Sally Mountain Show has been a significant influence on the music over the years. Here is the official obituary as presented today. The staff at Pinecastle Records are saddened to announce that Pinecastle's former owner Thomas W. Riggs died on Saturday August 30th, 2014 at the age of 78. Tom left an indelible mark on the bluegrass music industry and will be remembered not only for the way he conducted business but for the many artists that he encouraged and helped establish. A private service will be held in his hometown of Louisville, KY.